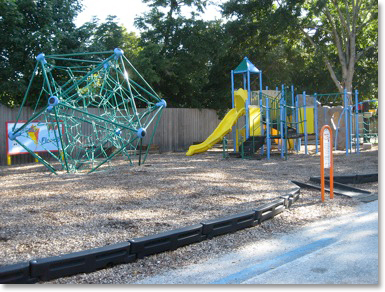 The Devereux Florida Orlando Campus offers a professional therapeutic environment for children and adolescents facing significant emotional and behavioral disabilities. Located in Orange County, just West of Downtown Orlando. 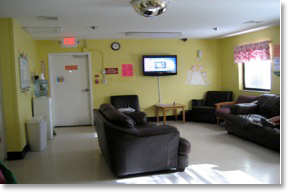 Our campus offers a safe home-like environment within a community-based setting. The campus offers three residential programs: Residential Group Care, Residential Treatment Center and Devereux’s Statewide Inpatient Psychiatric Program (SIPP). 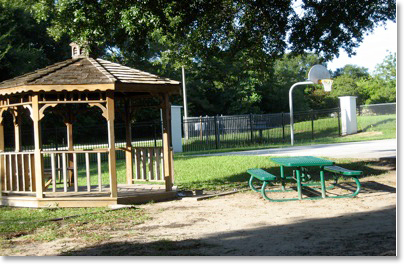 Through these residential treatment programs, the Orlando Campus includes a total of four residential housing units and an onsite school, Spring Ridge Academy, licensed by the Florida Department of Eduction. * When applicable or appropriate for client. Devereux’s Statewide Psychiatric Program (SIPP) provides a therapeutic residential living and learning environment for emotionally challenged children and adolescents ages 5 through 17. The individuals typically served have issues relating to emotional, behavioral, and psychological problems. Some individuals often have unresolved trauma due to abuse and/or neglect. This residential treatment program prepares children and adolescents for transition into the community through clinical, vocational, academic, recreational, and life skills training. Family Therapy is a strong component of this program, offering the opportunity to strengthen the family while participating in this program. For more information about the SIPP, click here. 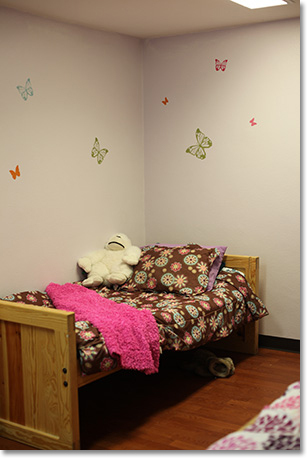 The Residential Treatment Center provides the same therapeutic and educational residential services for emotionally challenged children and adolescents as the SIPP program. Individuals typically served have issues related to emotional, behavioral, and psychological problems. The Devereux Residential Group Care serves adolescent boys ages 12-17 on a short-term basis who are in need of behavioral healthcare services in a residential setting. Devereux Florida operates under the belief that residents can make changes in their lives and levels of functioning through receiving high level, timely, consistent, and stable treatment. For more information about Residential Group Care, click here. Devereux Florida recognizes that many youth struggle with co-occurring mental health and substance abuse issues. We offer a substance abuse treatment track designed to meet the unique recovery needs of children and adolescents facing the challenges of substance abuse or dependence. Individual and group treatment programs are available to address issues pertaining to exposure, behavior, and addiction. Therapists at the Orlando Campus predominantly use a cognitive-behavioral model of therapy for individual, family, and group interventions. This means that therapy focuses on how each individual’s thoughts and feelings contribute to the behavior they show in responding to events in their environment. Examples of thinking that can contribute to an individual’s emotional and/or behavioral problems include negative beliefs about themselves, assumptions they may make about others’ behavior or unrealistic distorted views of their experiences and/or the world around them. While each therapist possesses a unique skill set and therapeutic style, all therapy services on campus are governed by Devereux Best Practice Guidelines. Best Practice Guidelines are therapeutic interventions identified by experts through scientifically-based published studies to be most effective in treating a specific disorder or challenging behavioral problem. Each resident's clinical team receives a great deal of oversight and supervision to assist in treatment, ensuring the most useful interventions are being applied. Some additional therapy modalities practiced by our therapists include brief solution-focused therapy, social skills training, progressive muscle relaxation, constructing a trauma narrative, play therapy, and psycho-education. Furthermore, therapy services on campus are guided by the principles of warmth, genuineness, and empathy - which research has shown to be strongly related to positive treatment outcomes. In practice, this means that each resident's therapist will work with his or her family members in a manner that communicates understanding, respect, and a strong desire to be of help. Behavior Analysts Applied Behavior Analysis (ABA) is a scientific and experimentally driven treatment method used to improve behaviors of social significance. By applying principles of behavior and actively using techniques grounded in ABA, Devereux has been successful in creating and maintaining positive changes and remains the treatment of choice in Devereux’s programs. By using ABA techniques, Devereux’s behavior analysts are able to identify behaviors in objective and measurable terms, their functions and develop effective and efficient treatment methods to decrease these problem behaviors and teach appropriate replacement behaviors. The ABA treatment process begins with a thorough functional assessment. This assessment provides the team with a comprehensive overview of the behaviors in need of reduction, their function and other pertinent information about the individual’s history. A behavior program is then developed and clearly addresses how target problem behaviors shall be reduced and replacement skills that will be taught to the individual. The program is implemented by trained staff and changes are continuously assessed over time through daily data collection with data being reviewed and studied by a behavior analyst. Modifications to behavior programs are made when necessary and all programs are implemented with the supervision of a Master’s or PhD level certified behavior analyst. Devereux prides itself in providing high quality ABA treatment and employs qualified Board Certified Associate Behavior Analysts (BCABA) and Board Certified Behavior Analysts (BCBA) to provide ABA treatment for its programs. Each child and adolescent has the ability to participate in community activities which include but are not limited to community service activities, civic organizations, adult education, theater, organized sporting leagues, community recreation facilities, museums, space center, and the zoo. The individual’s treatment team and program director will approve and outline the activities the resident will be able to participate in based on his/her treatment plan. Consent from the legal guardian must be obtained during admission and all activities are considered voluntary. Orlando Campus staff will be present during all activities. We offer enhanced discharge planning. A continued care plan is developed for your child to help support and strengthen gains made while at Devereux as well as to encourage further progress after his or her stay here. Devereux Florida also offers specialized therapeutic group homes, intellectual/developmental disabilities group homes, family care, foster care, residential group care and outpatient family counseling services. All are available to serve as step down placements or services to help support each individual to returning home or for independent living.